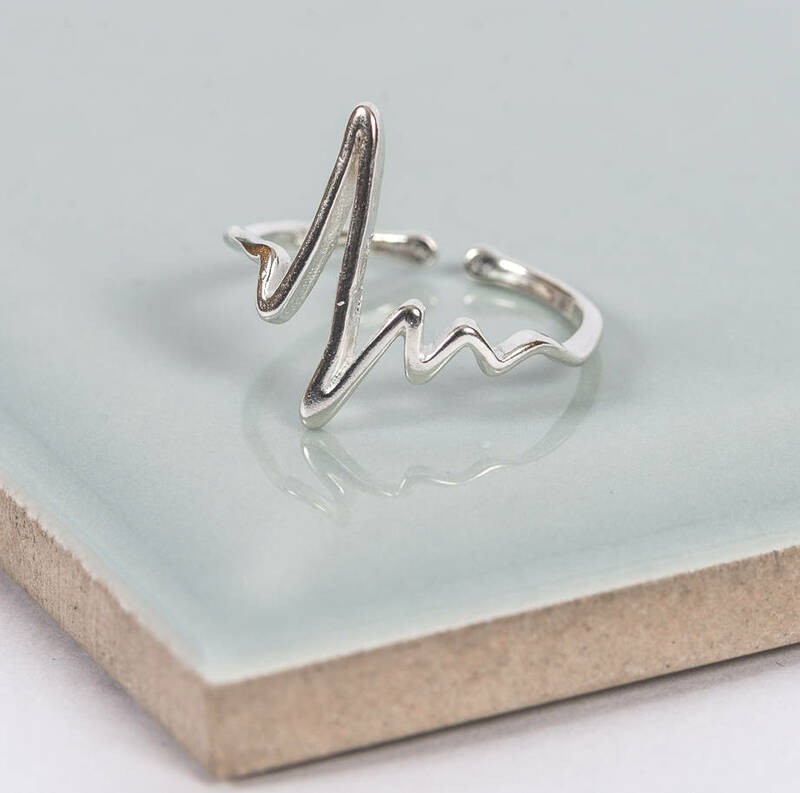 A beautiful sterling silver ring replicating the hearts beat. This unique ring can be worn as midi ring or adjusted to fit any finger. Perfect on its on or worn with other rings.